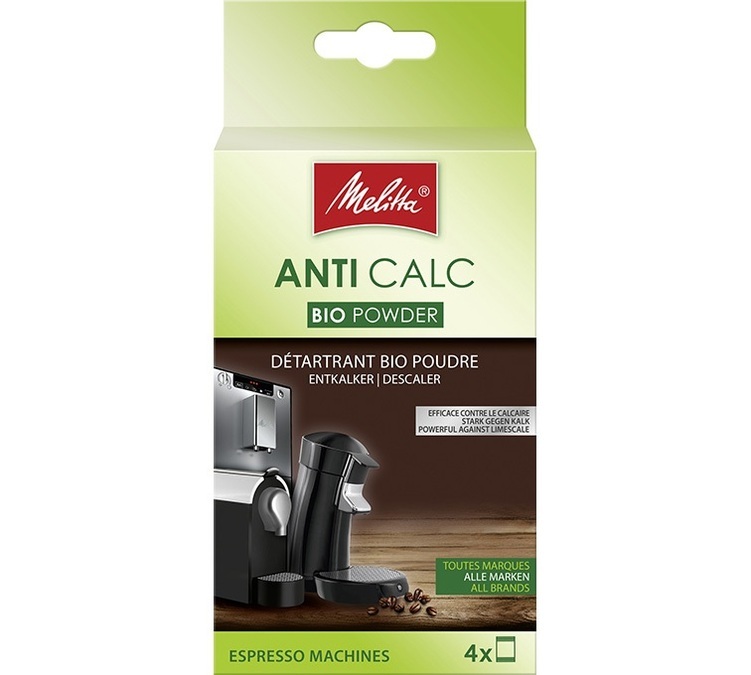 This Melitta BIO descaler for electric coffee machines (espresso machine, grinder, capsule machine... etc.) ensures your coffee appliances stay in perfect working condition for longer, by eliminating the limescale deposited after every use. Proven biological procedure. The Melitta adventure began in 1908, the year Melitta Bentz invented the first coffee filter. Melitta is a leading player in the coffee machine industry. In addition to their "coffee machine filters" they have now introduced an innovative range of automatic coffee machines (Melitta Caffeo).